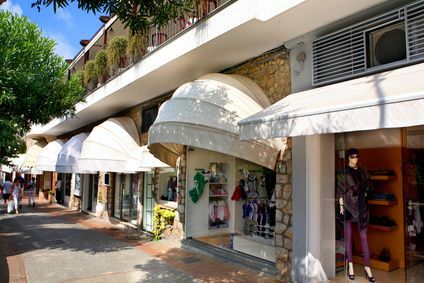 Capri is known for its outstanding natural beauties. The “Blue Grotto” is one of the world-famous emblems of the island. But did you know that in the past people wouldn’t set foot into the grotto any longer, because they believed, that witches and other terrifying creatures lived there? We invite you to discover breathtaking places on the island of Capri and their legends. Capri is a breathtaking area of natural beauty in the Bay of Naples. Its seductive charms already attracted a great many visitors for thousands of years. 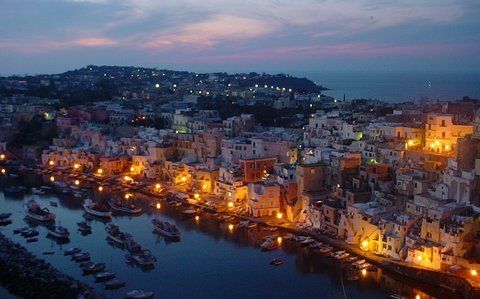 During the day the light dips the island into different colors and enchants the viewer. This huge natural arch stands at the east coast of Capri, not far from the coastline. Once, this arch was one of the island’s many grottos, but its original structure changed over time due to wind and rain erosion to its present form. Legend has it that ghosts fly through the picturesque arch during the night. 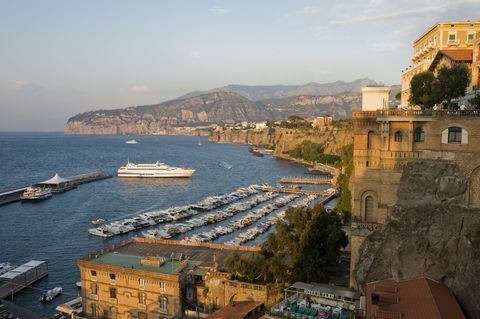 To reach it, you can take a 30-minute walk on an ascending trail that starts at the Piazzetta on Capri. Grotta azzurra in Capri: once the home of the sirens? The “Blue Grotto” is one of the world-famous emblems of the island of Capri. It is known for its water’s intensive and brilliant hues of blue. The magical light- and color effects are created by the sunlight, which is reflected into the grotto by the 25-m-deep water. The grotto’s low and narrow entrance, which is situated in a massive rock, is also quite impressive. Many myths and legends entwine around the Blue Grotto. According to one of them, the grotto was once the home of the sirens, which led sailors astray with their singing. Writers of past centuries reported that people were so superstitious and afraid, that they wouldn’t set foot into the grotto any longer, because they believed, that witches and other terrifying creatures lived there. 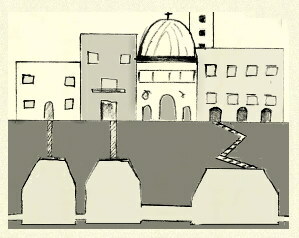 So, the grotto slowly sank into oblivion until it was mentioned again by Capaccio in “Historiae Neapolitanae” in 1607. The Caprese people rediscovered their grotto around 1826, when the German poet, August Kopisch, and the painter, Ernst Fries, reintroduced it to the world. The Grotta azzurra is 54 m long, 15 m wide and 30 m high. Its water is between 14 and 25 m deep. Boat trips to this world-famous grotto start from the harbour of Marina Grande, and you can go either together with other tourists, or by yourself accompanied by a guide. Because many tourists want to see the grotto, it is recommended to schedule your visit in the mornings and, if possible, to avoid public holidays and Sundays. Especially beautiful is a visit on a sunny day when the water is as calm and blue as the sky! Long before the Roman era, this grotto was a meeting place to perform rites and pre-Christian practices, which probably originate from the cult of the first Greeks. The name of the grotto derives from the Latin “Mater Magna”. Legend has it, that this was the place, where the cults of the goddess Kybele (goddess of the earth) and the god Mithra (sun god) were celebrated with human sacrifices. Emperor Augustus put an end to these rites. He had the grotto decorated with mosaics and shells and used it as a water reservoir. Unfortunately, the decorations were stolen, so that today only the visitors’ imagination revives the old legends. So beautiful! 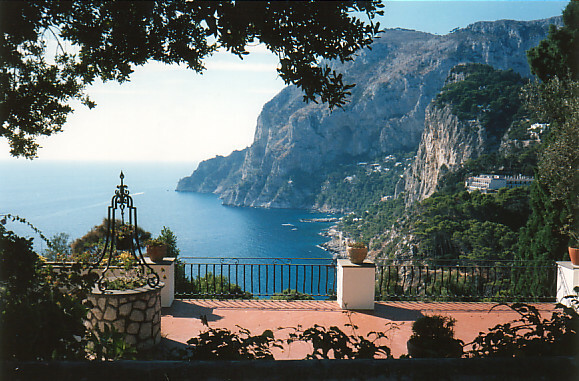 From this lookout point, you can enjoy the view of Capri’s landmark, the Faraglioni rocks. The Faraglioni are three rocks looming from the sea with a natural tunnel that runs right through. They are stunning. This small park was once emperor Augustus’s garden. From here, you have a magnificent view of the spiraling serpentines of the Via Krupp, which lead steeply downwards to Marina Piccoli, a bay where you can go swimming. The German manufacturer, Friedrich A. Krupp, donated this road in 1900. In the park, you find the Lenin memorial, which was created by the Italian sculptor Giacomo Man.